The first ever woman weightlifter from Pakistan to have won a gold medal internationally. Twinkle belongs to the minority Christians of Pakistan and her story is a story of change from one of the most sidelined, marginalised communities. Her success changed views about minorities and also opened up new opportunities for women in general by breaking the conservative traditions of the land. One of the most inspiring stories that I have had the opportunity to work on. 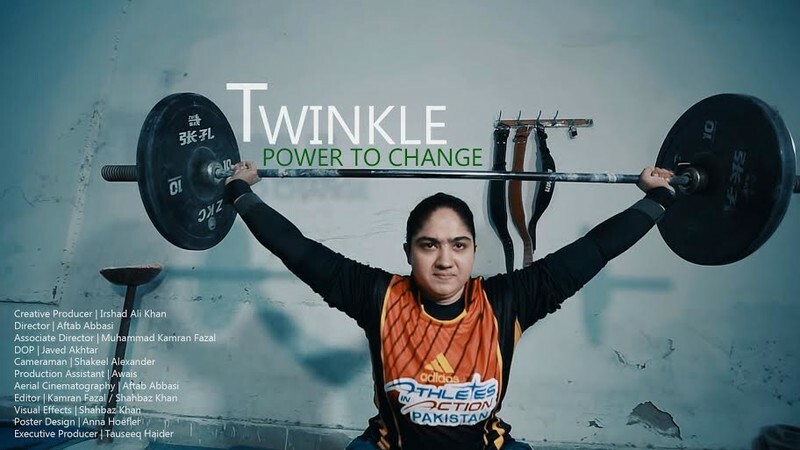 The story of Twinkle is a feel good story of success coming from a very humble background. It is a story that puts a smile on my face knowing that I had the privilege to view up close the quiet but sure coming of the change. In that small beat up room with the plaster falling off, in the grey drab atmosphere of neglect and impoverishment these girls with their blood and sweat toiled their way to gold medals in a makeshift gym that no one knows exits.